DEARBORN, MI. 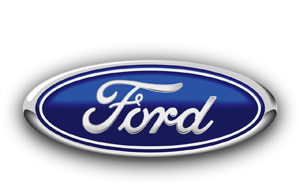 – As Ford’s share of the U.S. electrified vehicle market quadrupled in the past year, the automaker said it would work to improve on-road fuel economy performance of its hybrid vehicles, hire new engineers and expand its research facilities for continued growth. Ford, which noted its share of the U.S. electrified vehicle market was up nearly 16 percent during a webinar in mid-July, pointed to its C-MAX hybrid for helping drive the growth. “Strong consumer acceptance of Ford hybrids shows that our plan to lead in fuel economy across our lineup is working,” said Raj Nair, group vice-president of global product development. The plan was revealed during a media webcast hosted by the company in July. During the broadcast, Ford said electrified vehicle sales of 46,197 units through June, adding its C-MAX is drawing new buyers in coastal markets and in Florida and Texas. The automaker said Toyota Prius U.S. sales have declined five per cent over the same period. Halfway through 2013 in Canada and the story is similar with Prius C down 4.5 per cent. It should be noted, however, that Toyota still holds the volume title in Canada with 1,452 Prius Cs retailed through to the end of June while C-MAX could muster just 757. According to Ford, 64 per cent of C-MAX buyers came from non-Ford brands in June. The vehicle most traded-in for a Ford C-MAX was the Toyota Prius. Nair said Lincoln MKZ is also is bringing new customers into the showroom. Strong demand has led Lincoln to increase the production mix of MKZ Hybrid to 40 per cent of MKZ production, up from 20 per cent. Another success is in what Ford dubbed the “super segment” – small cars, midsize sedans and small utilities that have fueled 42 per cent of the company’s overall North American growth since 2008. Ford’s small cars, including Fiesta, Focus and C-MAX, totaled 35,851 sales in the U.S. in June marking a 39 per cent increase over last year and the company’s best June small car sales in 13 years. In Canada during that same period, it has been a little rockier with Fiesta and Focus sales down 37 and 9.3 per cent respectively. The redesigned Ford Fusion has been shouldering the brunt of the passenger car growth in Canada for Ford up 26 per cent over the first half of the year. But as it sees electrified vehicle market share grow, Ford said it is taking action to improve the on-road fuel economy performance of 2013-model hybrid vehicles in the United States and Canada. Starting in August, the automaker will make calibration updates designed to improve on-road fuel economy for owners of the 2013 Ford C-MAX, 2013 Ford Fusion hybrid and 2013 Lincoln MKZ hybrid. Reps also said it would expand its electric car engineering team by nearly 50 per cent, growing to 500 salaried employees this year. The automaker is also investing an additional $50 million in electrified product development and testing centers in Dearborn, Michigan.